French President François Hollande has been in the news most recently because of his interesting home life, because he was living with a woman not his wife, who didn't exactly endear herself to the French publique, and then he proceeded to have an affair with a comely French actress. This caused the home mistress to get so upset she was hospitalized, and then came the official announcement that she was officially not the official mistress anymore. You can read all about that lots of other places. Still, Hollande does know the importance of science, and his most recent budget preserved the science budget of the country. Nice move. Now, if he could just keep his private life less adventurous. But still, as the French might say, c'est une affaire. And they don't seem to care as much about such things as the Puritan-tradition Americans. I've actually had this in my back pocket for awhile but didn't get a chance to post it until now. "to make more than love"
sustained, unfeigned, agreed, and then attained. Because river dolphins (freshwater) are so rare, most of the species are endangered, or in the case of the baiji, the Yangtze river dolphin, extinct. So it is uniquely gratifying and slightly hopeful that a new river dolphin species has been identified and described in South America. The new species lives in the Araguaia River. Where is that, you ask? Here; look southeast of the Amazon. Weirdly, though this river and the Tocantins, that it officially flows into, are in the Amazon River basin, they aren't tributaries of the Amazon, they have their own outlet to the sea. Which helps explain why the Araguaia river dolphin could evolutionarily diverge from the Amazon river dolphin. Five good looks on recent red carpets. Haven't got to the Grammys yet. Crystal Palace now has 23 points in the Barclays Premier League, which is four points ahead of the three teams in the relegation zone, which have 19, 19, and 18 (West Ham, Fulham, and Cardiff City, respectively). They had wins over Hull and Stoke most recently. They have to play Arsenal next. The amazing Michelle Keegan was on the red carpet for the British National Television Awards. I'm not sure what category she was nominated in (if in fact she was even nominated), but judging by this picture, she won the red carpet. There was also an Instagram snap of her with fiancee Mark Wright, aka One of the Luckiest Men in the World, to look as good as he does and have an apparently adoring Michelle as his bride-to-be and very likely lover-right-now. Even though the resolution is lower than the above, this one actually shows how amazingly slim and slinky Michelle was in this dress. Regular readers of this blog, few though they may be, may note the absence of my common postings about lovely women. Well, I promise I haven't forgotten about them. I have plenty of news and links and pics in the queue, but I haven't had a chance to get to them in the midst of all the other interesting aspects of this esoteric life. But I will have more. I'll start amending for the lapse in my next post. 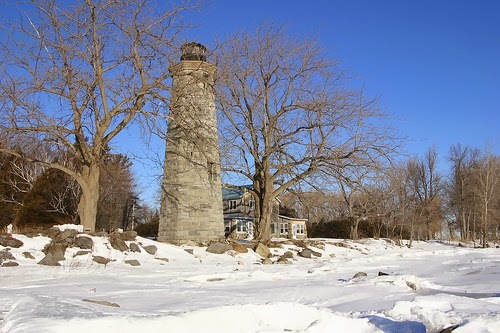 Lake Champlain, on the border between New York and Vermont and stretching up to Canada, is big enough for lighthouses. The Point au Roche light is appealingly rustic. 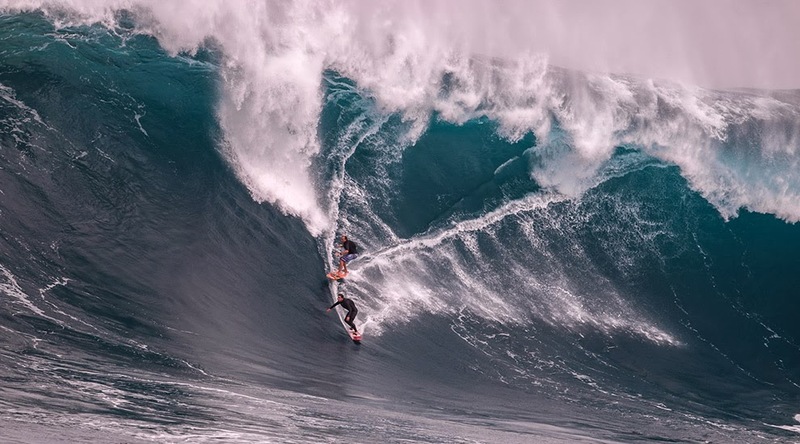 Great surfing shots and videos from Maui's Jaws, which woke up after a couple of years when some Pacific winter storms kicked up. This sure would be if one had the requisite skill to do it and not die in the process. Supernovas aren't common, but they do happen. Advances in astronomical observation have made it possible to see them in other galaxies, which has enhance our knowledge of how they happen and what happens when they happen. There's a new observable one. Read about it here. Adam Block took this picture. 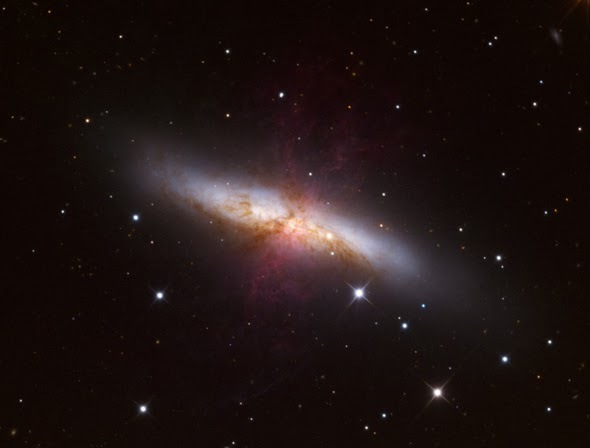 The supernova is the orangish object slightly down and to the right of the galactic center. The New Madrid fault zone, which unleashed the worst earthquake in U.S. history in 1811-1812, which create a lake (Reelfoot Lake) as part of its effects, is according to analysis, still active. Previous studies have suggested that it may be shutting down, based on GPS readings that showed little strain accumulation at the surface. Other research came to the same conclusion by blaming ongoing quake activity on aftershocks from the 1800s, which would essentially relieve strain on the fault. The latest study suggests otherwise. Hough and USGS geophysicist Morgan Page in Pasadena, Calif., analyzed past quakes in the New Madrid region and used computer modeling to determine that the continuing tremors are not related to the big quakes two centuries ago. "Our new results tell us that something is going on there, and therefore a repeat of the 1811-1812 sequence is possible," Hough said. The USGS estimates there's a 7 to 10 percent chance of that happening in the next 50 years. And if you're interested in Reelfoot Lake, it's reportedly a great place to fish. If you want to visit, the nearest major city is Memphis, Tennessee. The Australian Open is done, and both winners were unexpected, but not the ones I picked. On the women's side, Cibulkova beat my pick, Radwanska, but lost to a deserving winner, Li Na, in the final. Good for Na - she's a hard worker with a long career and getting a second Slam will move her up in the historical perspective. On the men's side, Wawrinka is also deserving, after battling Djokovic several times and prevailing this year, then going on to beat Berdych and then Nadal in the final. Nadal got hurt, but that's what happens in sports. Interesting story here - Nadal had beaten him the previous 12 meetings. Wawrinka had never even won a set against him! Before the Australian Open began, I picked David Ferrer to win on the men's side if the big guns get knocked out (i.e., Nadal, Djokovic, Murray, and Federer), and Agnieszka Radwanska if the dominant players on the women's side fell. Well, shazam! on the women's side - the four remaining women in the semis are Bouchard (Canadian ranked like 30th) vs. Li Na, and Sharapova-slayer Cibulkova (20th) against RADWANSKA (5th). (Ana Ivanovic, who looked to be on an upswing with an upset of Serena Williams, went out to Bouchard). I just finished watching Radwanska mentally unravel a jittery Azarenka with some absolutely sublime tennis shot-making. She'll be unbeatable if she keeps that up. SI story on the match. A bit of shazam! on the men's side with Djokovic getting knocked out by Wawrinska. (Am I spelling all these names right?) But Ferrer got shazamed himself by Tomas Berdych. OK, follow the rules. Without using Google, think about where you think the most coffee is consumed per capita. For those of you who haven't been exposed to that term, it means the most coffee per person. I did think this through before reading the article, and I felt that Cuba might be the place, or potentially France. On one of my two visits to France I was impressed by the availability of little pots of cafe au lait for breakfast everywhere. But the French drink wine for dinner, not coffee. So I also entertained that maybe one of the Latin American countries that produces coffee beans was also a big coffee consumer. I went for Colombia. So my top three would be Cuba, France, and Colombia. One of the interesting facets of living in this region is that you can hear the Virginia news in Maryland, and vice versa. So the only reason that I knew there was a special election in Virginia for a Virginia Senate seat (because the Senator from that district was elected VA attorney general) was some radio ads for Jennifer Wexton, who was the Democrat running for it. It was clear from the quoted Washington Post endorsement in the ad that the Republican in the race was an ideologue in the mold of Ken Cuccinelli. That was an easy choice, and it led me to tweet in the morning of the race (which on my clock is still today) that I wished I could vote for Jennifer Wexton. Well, fortunately, it turns out I didn't have to. Wexton won 53% to 37% (there was a third guy in the race who got the other 10%). Now, there was one other earlier special election that still is getting a recount, because the Democrat only won by 7 votes. If that holds up, then the Virginia Senate has 20 Democrats and 20 Republicans, and a Democratic Lt. Governor gives control to the Dems. I've always liked actress Sophia Bush from her "One Tree Hill" days. Combination of perky cuteness and sultry starlet sexiness (emphascored by the smoky voice). This Jimmy Fallon appearance emphasizes the cute side of the Bush equation. I paraphrased the Daily Mail headline for the link. Following the unfortunate death of the keeper of the pitch drop experiment, Dr. John Mainstone, the Web site has been revamped, and now anyone interested can join up and watch for the next drop (the ninth, hence the name of the site, The Ninth Watch) to fall. The fall of the ninth drop is really actually imminent -- at least it looks that way. It could fall any day now. Or not, which has been the case for several years now. Seriously? This is GREAT news for Canada! Imagine my joy when I read about a political situation in Canada that could bring down the government of environmental-enemy and scientist-censor Prime Minister Stephen Harper. We can only hope. "When the history of this tawdry episode is written, this decision — whether it was made by PMO officials, or Conservatives in the Senate, or Harper himself — to seek to cut Duffy, Brazeau and Wallin loose, without pay and without due process, may well go down as the very worst in a cascade of catastrophically bad decisions. Harper must now address allegations of corruption, conspiracy, and strong-arming by his office, tantamount to blackmail. The base, one suspects, will not be pleased." "Here’s where this leads: If Duffy’s story is true, and he can indeed prove it, then the entire senior Conservative power structure in Ottawa is on trial. And if, as Bayne has hinted, there’s evidence the prime minister knew of the Wright-Duffy deal before May 15 — when he has said repeatedly he did not know — then Harper himself will be irreparably damaged." The story is that a few of the Senators -- who are appointed, apparently, which is new to me, as I haven't studied the Canadian government much -- basically made a lot of money on the taxpayers by claiming travel and domicile upkeep expenses for summer homes and for places they didn't live very much (if at all). The political problem is that the Senators claim that they got approval for everything they did. That sounds bad (and probably is). Congress scrambled to cobble together the budget based on the Murray-Ryan blueprint of late December. Because of the twin squeeze -- no revenue increases and the constant, incessant, unnecessary Republican call for cuts in 1/3 of the budget (and yes I know the Dems should have accepted a couple of Medicare and Social Security trims), science gets the short end of the stick. "But the NIH budget target falls short of what both the White House and Senate Democrats wanted. House Democrats said it was $714 million less than "the 2013 enacted level" of $30.648 billion. According to the NIH's own numbers, meanwhile, it is approximately $950 million less than its 2012 level. In fact, the number is lower than during President Barack Obama’s first year in office and, when adjusted for inflation, is lower than it was in every year but the first of the George W. Bush administration." NASA did better. And they have long-term (really long term) plans for a manned mission to Mars. Really. "$3.1 billion for the Mars mission, including $1.2 billion for the Orion multi-purpose crew vehicle that will carry astronauts to Mars and $1.9 billion for the Space Launch System that will build and guide the rocket that will propel them to the Red Planet." "The National Science Foundation (NSF) also is disappointed with its $7.2 billion budget, $68 million under its target." "Overall, the agreement appears set to wipe out at least one-half of the sequester cuts planned for 2014 and one-quarter of those scheduled for 2015. Further relief could come from new revenue sources established by the plan, such as a new fee on airline tickets. Still, for the time being, planned sequester cuts remain in place in 2016 through 2020." If you think there isn't going to be a fight about that, then think again, because it's going to be rough. For the second Lighthouse of the Week, I went overseas. It's easy to get stuck in the United States because of the all the picturesque lighthouses we have, but there are other lighthouses in other parts of the world. 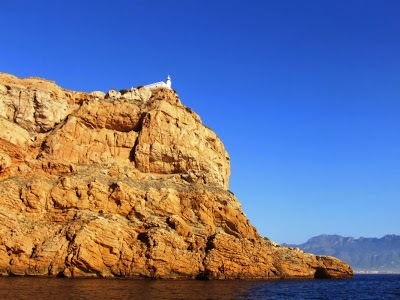 This week's lighthouse is called the Albir lighthouse (Faro de Albir). 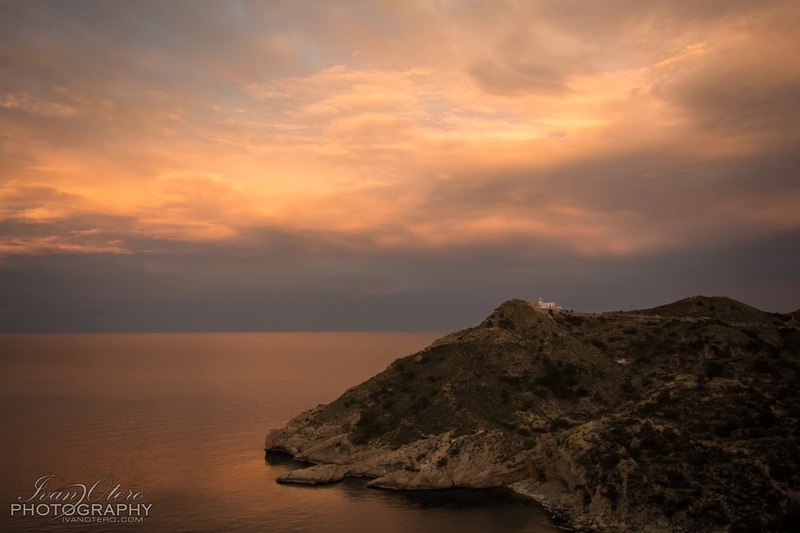 It is located on the Punta d'Albir, and it's official address is Alicante, Spain, on the Costa Blanca, which is essentially Spain's southeast coast on the Med. 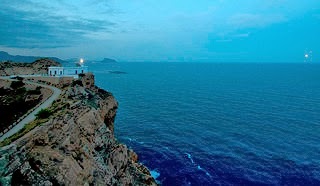 This is gorgeous coastal scenery, and the lighthouse fits right in. 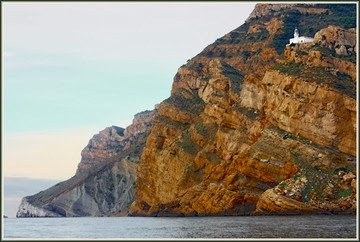 It's right on top of a rocky point, and the white structure stands out. If you have heard anything about the Australian Open, even if you don't follow tennis, you've probably heard about how horrifically hot it is. The article below (with some quoted parts after) describes what it was like just before the tournament started. They note prophetically that things in Melbourne might get worse -- which they did, as Melbourne is where the Australian Open is being played. Weather records on the high side don't prove climate change, just as temperature records on the low side don't disprove it. But records this high, this strong, in a normally hot country in summer --- well, you sit up and take notice, particularly if they fit the pattern that is being documented in detail by climate science. "During the most recent heat wave, dozens more records were set, including some by large margins. Narrabri, located about 320 miles northwest of Sydney, saw the thermometer hit an eye-popping 118°F on January 3. That surpassed the previous record by 6.5°F, which is the largest margin for an all-time high temperature record at an Australian weather station with 40 or more years of data. In Gunnedah Research Center, located 265 miles northwest of Sydney, temperatures rose to 114.6°F. That topped the previous high by 5°F. The station has records going back 76 years and is part of Australia’s long-term climate network." As Crocodile Dundee might say, "Now THAT'S a heat wave." 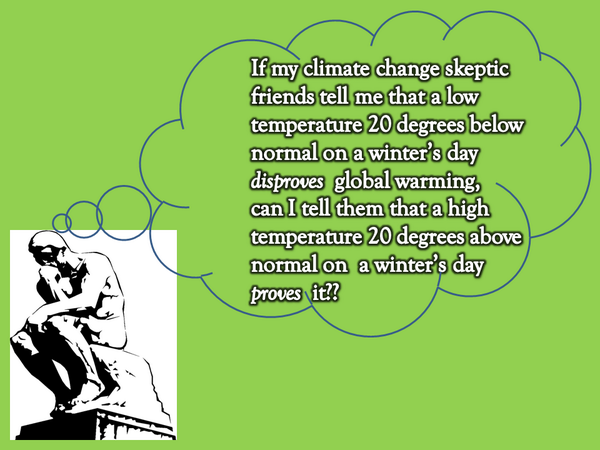 Inspired by our cold U.S temperatures recently, I made this little graphic. I posted it on Twitter first. Something to ponder. Is Scotland really going to secede from the UK? I heard this mentioned a couple of times last year, but from reading the following opinion article I was reminded that it will come to a vote. Now, they should be reminded that it worked out fairly well for Canada for Quebec to stay with them rather than become an independent country, despite the separatist sentiment that generated some fervor a few years back. The interesting thing I got from this op-ed by Lord George Robertson, which hadn't been spelled out before, was how a Scottish secesssion might tempt other ethnic enclavesl (he mentions Basque regions in Spain and the Flemish region of Belgium) to make their own break with the mother state. So the article is clearly not in favor of this, as they suggest it might destabilize all of Europe. I don't know if that is a bit too Cassandrish, but it is something to think about. I'm pretty sure that kind of thing would have economic repercussions, and not in a good direction. I doubt that my fellow Scots will take the drastic blind step that secession would require. Support in the polls refuses to rise above 30 percent. But this is no romantic “Braveheart” moment. The separatists are deadly serious, well-organized and well-funded. Britain’s friends around the world need to pay attention. A dangerous historic event might soon be upon us — with few people outside the U.K. even noticing. Well, I've noticed now. OK, I'll stop telling the joke that tennis player Andy Murray is British when he wins and Scottish when he loses in a Grand Slam tournament. She looks happy and she looks GOOD. And the pictures don't show her full-bum rose tattoo, either. China's environmental problems - polluted water, polluted air, overuse of fertilizer - are becoming more obvious. But the potential effect on food production - pretty important for a country of well over a billion people - has slipped under the radar, including mine. Not anymore. At least for me, because I read this article in the Huffington Post that described the food situation, namely that due to China's other environment problems, they have millions of acres of farmland they can't use because these millions of acres have polluted soil. Thus, in addition to the direct effects of the pollution, which is to make the people unrestful about having to breathe bad air and drink bad water, there is also this indirect effect, which can make their food more expensive (because it will have to be imported) or just not available at all. Clearly this would also be an unrestful factor. The potential bad progression of this situation should be pretty obvious. The issue poses a dilemma for communist leaders who want to maximize food production but face public pressure to ensure safety after an avalanche of scandals over shoddy infant formula and other goods. The explosive growth of Chinese industry, overuse of farm chemicals and lax environmental enforcement have left swathes of the countryside tainted by lead, cadmium, pesticides and other toxins. Investigations by the Ministry of Environmental Protection have found "moderate to severe pollution" on 3.3 million hectares (8.3 million acres), Wang [deputy minister at the Ministry of Land and Resources] said at a news conference. I expect that sounds as bad to you, dear reader, as it does to me. The new feature is called LIGHTHOUSE of the WEEK. What I'll do is post a link to a nice picture of a lighthouse, with a very small reduced size image here to show what it looks like. 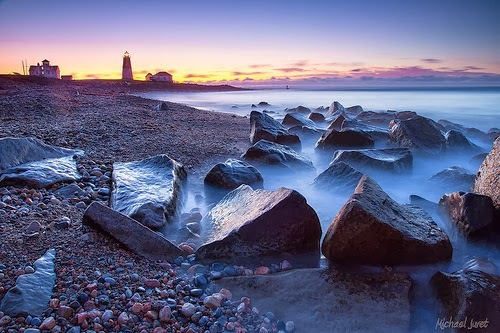 To kick it off, this week's picture is Rhode Island's Point Judith Light. The lighthouse is south of Narragansett, RI. The picture is by Michael Juvet on Flickr. My previous post was about the Australian tennis Open. Unfortunately, it's likely to be played under very warm conditions. Australia is having a heat wave. This is from January 9, three days ago, but there is no sign of the heat letting up anytime soon. "In Gunnedah Research Center, located 265 miles northeast of Sydney, temperatures rose to 114.6°F. That topped the previous high by 5°F. The station has records going back 76 years and is part of Australia’s long-term climate network. Overall, 34 locations across the country with 40 years or more of data had their hottest day on record." NASA's Earth Observatory Web site has an image of temperature anomalies for this current heat wave. It's particularly acute on the eastern side. The Australian Tennis Open is underway. Herewith are my upset picks on both sides. Smart money would pick Novak Djokovic, Rafael Nadal, or Andy Murray on the men's side, of course. But if none of them wins it, I'll go with David Ferrer to be the unexpected winner. On the women's side, obviously the two dominant players are Serena Williams and Maria Sharapova (hopefully Maria's physical woes are minimal). If not them, I'll go with fifth-seeded Agnieszka Radwanska. I'd love to pick Simona Halep, formerly more famed for the size of her breasts than her tennis skills, but since she had them reduced to relatively normal proportions, she's moved up in the rankings. But at #11, I don't think she'll make it to the final. A deep run would obviously attract the attention of the press on her transformation. (According to Wikipedia, after she had the breast reduction, she's moved up 450 places in the tennis rankings. OK, so maybe she had to.) At the end of 2013 she got a couple of awards for being the Most Improved Player of the Year. So she might have an outside chance to be in the final. 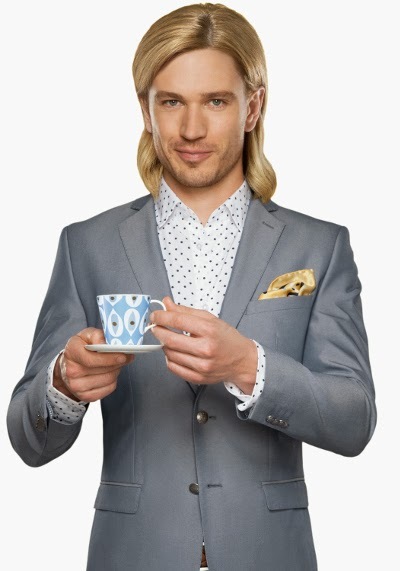 Here's what Simona looks like now. It's almost becoming routine when an satellite orbting a diferent planet catches a picture of a robot exploring the surface of another planet. Almost. But not quite. So I'm still impressed at the level of this technology. In this case, the Mars Reconnaissance Orbiter viewed the Curiosity rover. So, given the celebrity of the rover, is this a case of a satellite being a paparazzi? One of my undangerous predictions for 2014 is that Sandra Bullock will win the Best Actress Oscar for 'Gravity'. As I write this the Golden Globes are tonight and we'll see how she does there, but the British equivalent of the Oscars (the British Academy of Film and Television Arts, BAFTAs) has her as a nominee. I think that's expected, that she'll be a nominee in that category for just about every award available this year. The BAFTAs came under some criticism regarding how involved some of the voters are, which is to say, maybe not as much as they need to be. But still, it's an honor to be nominated, right? There are a lot of reasons that overfishing is a detrimental thing for the overall health of the oceans. It's not just about the species that's overfished -- it's about all the other species in the food web. Back when whales were massively depleted down Antarctica way, penguins filled in for the big guys with a massive population increase. And we can contemplate when top predators (like wolves) disappear in a terrestrial ecosystem, then changes follow all the way down the line, particularly among the herbivores and the plants they eat. "For example, in the Northern Benguela ecosystem off Namibia, stocks of sardine and anchovy collapsed in the 1970s from overfishing and were replaced by bearded goby and jellyfish. But the bearded goby and jellyfish are far less energy-rich than a sardine or anchovy, which meant that their populations were not an adequate food source for other sea animals in the region such as penguins, gannets and hake, which had fed on the sardines and anchovies. African penguins and Cape gannets have declined by 77 percent and 94 percent respectively. Cape hake and deep-water hake production plummeted from 725,000 metric tons in 1972, to 110,000 metric tons in 1990. And the population of Cape fur seals has fluctuated dramatically." And as can be gleaned from the above, the changes due to overfishing are rarely in the direction of good. The paper describing this research was published in the PNAS. Turns out that I am not alone in my admiration of her rearward attributes. One of my other faves from both sides (and also for her dimples), Cheryl Cole, takes sixth. I'd take her anywhere. This is cool; students in an astronomy class for non-astronomers took a look at some asteroid data and made a remarkable discovery; that what was thought as one asteroid was actually two of them orbiting around each other. That's something that will look good on their resumes. And it must have been basically fun to do. Student teams studying 3905 Doppler met over four nights in October 2013. Each four-person team observed and photographed the asteroid, using a privately owned telescope in Nerpio, Spain, which they accessed and controlled over the internet. Their main task was to photograph changes in the intensity of each asteroid's reflected light and turn those images into a lightcurve. "When we looked at the images we didn't realize we had anything special, because the brightness difference is not something you can see with your eyes," Hayes-Gehrke said. But when the two teams studying 3905 Doppler used a computer program to chart its lightcurve, they found the asteroid's light occasionally faded to nearly nothing. "It was incredibly frustrating," said Alec Bartek, a senior physics major from Brookeville, MD. "For some reason our light curve didn't look right. It was as though the rotating rock had suddenly gone dark -- and Hayes-Gehrke suspected that's exactly what was happening. She thought 3905 Doppler was actually two asteroids orbiting one another. When one of the two asteroids blocked the telescope's view of its companion, the result was an asteroid eclipse -- and a sharp dip in the light curve. And somewhat appropriately, the name of the asteroid that is now two asteroids is 3905 Doppler. The image below is from the article, and shows the classic signature of a pyroclastic flow -- aka the "glowing avalanche" or nuee ardente. 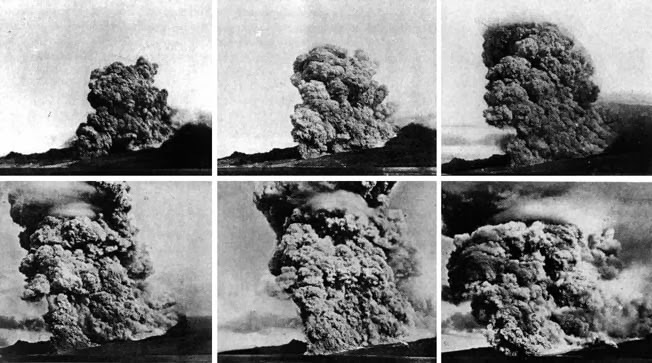 Compare that picture to these historical pictures of the eruption of Mont Pelee on the island of Martinique in the Caribbean, which laid waste to the entire city of St. Pierre with a full-scale nuee ardente. These are the bad boys of the volcano world. 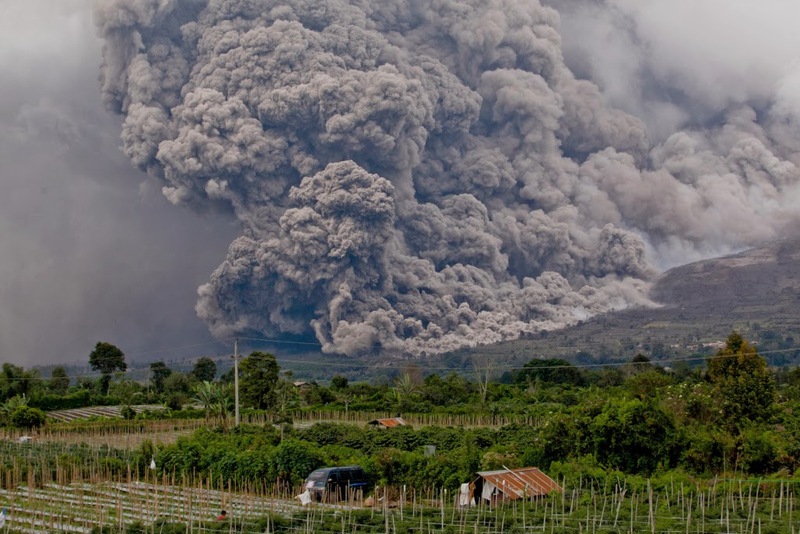 Let's hope Sinabung doesn't unleash a monster. Earth magazine listed the top 10 most-read (or at least most visited) articles from 2013. A lot of them aligned with my own interests. As I have often opined in this lightly-read blog, the way to get to a low-carbon-emissions future is pretty obvious. One, aggressive nuclearization to handle the domestic energy market (i.e., household and business use, the latter being factories, offices, etc.) The other is a liquid fuel source for transportation - trucks, planes, trains, and things like that. There have been many different technologies proposed and demonstrated to make biofuel. One of the standard problems I've seen is that they need a source of energy to make the fuel (look back at the need for aggressive nuclearization). The less effort that is required to extract the energy from the biomass, the better. That's why oil from algae, which is how it originally happened anyway, might be the best way to go. That's why this article about the development of algae oil in Arizona is interesting and perhaps forward-looking. Arizona is a pretty good choice for algae growth considering all the sunlight, provided that water can be supplied in sufficiency. The article describes an alliance between TransBiodiesel And Heliae. Tranbiodiesel makes catalysts and Heliae has algae oil production facilities in Arizona. Bears watching to see if it works. The Sun's new cycle has begun! The Sun's new cycle has begun! The last one was pretty strange. Here's hoping the next one is a bit less strange. I want to write another article on why the Earth might benefit from a really cooler Sun for a few decades - not that I think it will happen. In my last post, I commented on the Chinese lunar lander and the picture of it that the Lunar Reconnaissance Orbiter aquired. Both missions are impressive technological achievements, and either landing on Luna or conducting operations in close lunar orbit are risky endeavours. The European Mars Express orbiter just did another high risk maneuver in space, making a flyby of Phobos within 28 miles (roughly the distance between the closest points of the Washington Beltway and Baltimore Beltway). That too is impressive. Now, these satellite controllers all know exactly how to command their satellites to make this maneuvers routinely (Cassini around Saturn has does several close approaches to different moons), but it's still pretty remarkable that they can come this close. 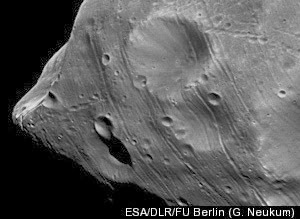 The reason they did it was to get as accurate an estimate as possible of the density of Phobos by monitoring changes in a continuously transmitted radio signal. Chalk up another achievement for the techno-science-geeks. Because they were transmitting a continuous signal, they didn't get pictures on this pass. Below is a shot from a different flyby. The Chinese lunar lander, complete with its own rover, landed around December 15-16. Hard to tell for sure because I don't know the time conversion. Quite an accomplishment, because it's working and already taking pictures of itself. And because of the remarkableness of other satellites (like the Lunar Reconnaissance Orbiter), pictures of it on the Moon have also been taken. I'm still very impressed by that. Congrats to the Chinese. I'm not sure what science is being accomplished, but it's still not an easy task to land a working robot on another body in space, even if it happens to be the one closest to us. I didn't get to this when it was more timely, but I think it's still very applicable. Robert Reich, who doesn't shy away from telling it like it is, was very critical of the recent budget deal worked out between the begrudged Republicans and the unhappy Democrats. I didn't like the sound of the deal much either, but he outlined the major problems with it better than I could, substantially. "First, it fails to extend unemployment benefits for 1.3 million jobless who will lose them in a few weeks." "The second reason this deal is bad is it contributes to the nation's savage inequality." " Third, the deal makes no fiscal sense. It's topsy-turvy: The deal contains no short-term stimulus, and does nothing about the long-term deficit. " "Although the deal overrides the dread "sequester" that mindlessly cuts domestic spending (except for Social Security, Medicare, and Medicaid), it doesn't put an end to the sequester. It merely postpones the sequester for two years." 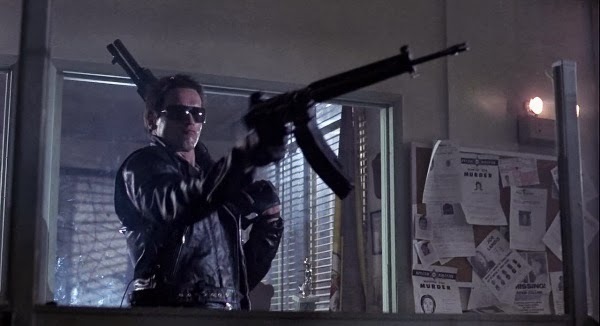 So the big bad sequester, like the original Terminator, will be back. And if you remember what happened in the movie when he came back, it wasn't good at all. The return of the sequester won't be good, either. The sequester's back, and nobody's safe. Does Saturn have a new moon? This was kind of interesting, but I didn't have a chance to get to it for awhile. Recent observations indicate that Saturn's complex ring system may have sprouted a proto-moon, or a moonlet, or just simply a tight little clump of ring material. In any case, they've called it "Peggy". And it's not clear if it is even there anymore. I don't find this surprisng, since there's a lot of stuff floating around in the rings, and I wouldn't think it would have a distribution of uniform density. But it is interesting to see a clump, since this in smaller scale is how astronomers think the planets formed around our proto-Sun.